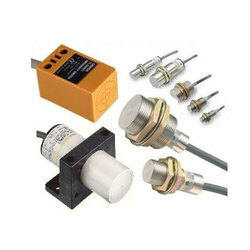 We are supplier of Omron Sensor, Encoder, Controller, Timer, Counter, PLC, Drive, HMI, Limit switch, Proximity Switches, Photoelecric sensor ,Sensors , Switches, Safety Components, Relays Control Components Automation Systems Motion / Drives Energy Conservation Support / Environment Measure Equipment Power Supplies / in Addition. Omron High-Function General-Purpose Inverters 3G3RX-V1 provide for energy-efficient operation of facilities and machines with fine speed control. RX series V1 type Inverter Models. Totalizing Omron Total / Time Counters display the number of count inputs and Time Counters display the measured operating time. Large easy-to-read displays are provided. Compact Tachometers are also available. 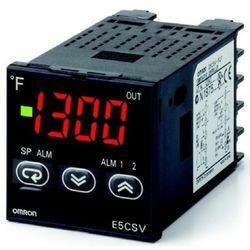 These Omron Temperature Controllers receive sensor signals and control heaters or other devices to maintain a preset temperature. They can also be used for humidity, pressure, and flowrate control. 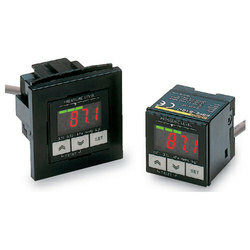 OMRON also provides temperature and humidity sensors. 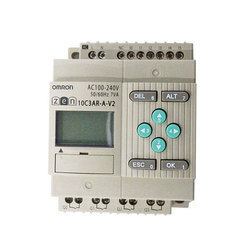 These are relatively simple in functions and economic Omron Temperature Controller. They can also be used for temperature alarm application. 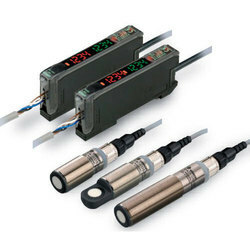 Omron Photoelectric Sensor detect photo-optical workpieces. OMRON provides many varieties of Sensor, including diffuse-reflective, through-beam, retro-reflective, and distance-settable Sensors, as well as Sensors with either built-in or separate amplifiers. 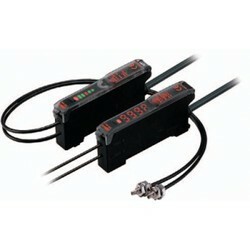 With these Separate-amplifier Omron Fiber Optic Sensors the light from the Amplifier is transmitted through a fiber to enable detection in narrow places, other locations with limited access. Omron Ultrasonic Sensors waves are used to enable stable detection of transparent objects, such as transparent films, glass bottles, plastic bottles, and plate glass, using Through-beam or Reflective Sensors. 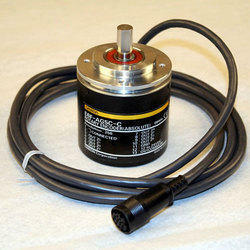 Omron Rotary Incremental Encoders output a pulse string according to the rotational displacement of an axis. The number of rotations can be detected by counting the number of pulses. 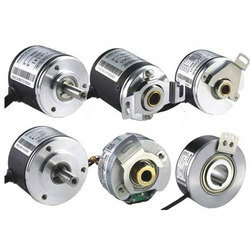 Omron Rotary Absolute Encoders output the rotational angle using an absolute code. The rotational position can be detected by reading the code. This eliminates the need to return to the origin at startup. With Pressure Sensors, changes in pressure can be measured to confirm suction, verify mounting, manage source pressures, and test for leaking. 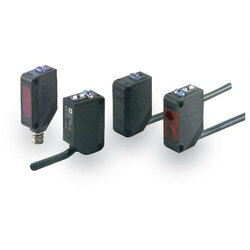 Differential Pressure Flow Sensors are also available. 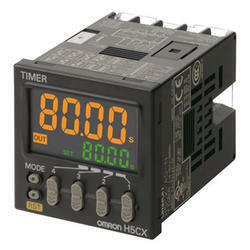 Omron Digital Timers provide high-precision operation time settings. 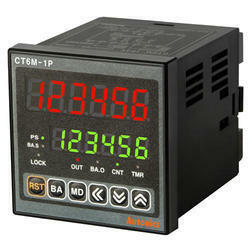 Digital switches enable easy preset time settings. Digital displays of elapsed time are also possible. Omron Programmable Display HMI Terminals are easy-to-use HMIs that provide representational power, network compatibility, and powerful controller linking to support facility and machine production. 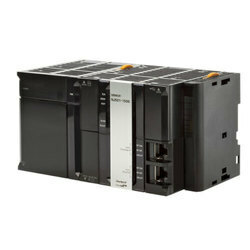 The NJ-Series Machine Automation Controller is at the heart of the new Sysmac platform. 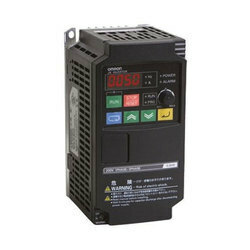 Servomotors and Omron Servomotors / Servo Drivers G5 Series are provided for the purpose of high-speed, high-precision control. 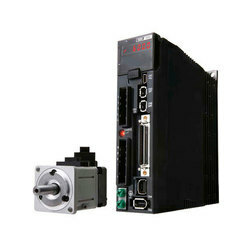 The G5 series has a direct connection to the NJ controller via EtherCAT. Customers can design faster, more advanced machine automation control systems. 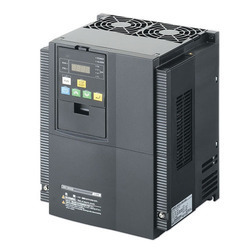 With the RFI filter built-in and communications integrated as standard, the Omron Frequency Inverters JX Compact Series a compact and complete solution to a whole range of simple applications. The RS485 Modbus is built into the RJ45 port of the inverter front, making it very easy to add inverters into the network without any extra option boards. Therefore, saving costs and space. 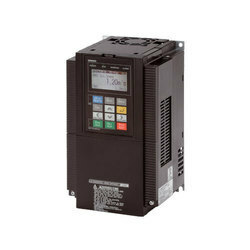 Specifically created for your application, Omron Frequency Inverters MX2 Compact Series was developed to harmonise advanced motor and machine control. Thanks to its advanced design and algorithms, the MX2 provides smooth control down to zero speed, plus precise operation for cyclic operations and torque control capability in open loop. By using the standard MX2 series functionality and communication option boards, the MX2 IP54 is the perfect choice for your standalone inverter solutions.